Well, after throwing hundred dollar bills and weeks on the calendar at everything but the motor on the race bike, it's finally time to address the otherwise stock Lemans 850 motor. 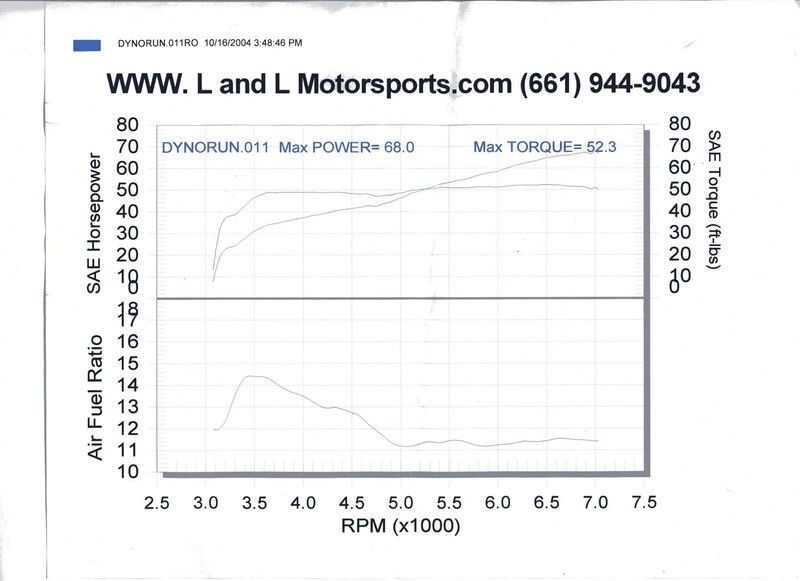 Previous dyno runs indicated a well tuned street motor with 62hp/49 ft lb of torque with a huge, flat torque curve from 3500-7500 rpm . I'm probably never below 5000 rpm on the track, so there's obviously some trading off to be done. I just did a top end freshening on the motor- cut valves and seats, replaced rings. Below are the results. 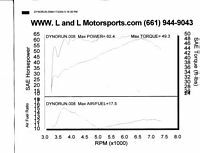 Yeah, 68 hp now, with another few ft lbs of torque across the board. That's 10% more HP than before. The X10 cam has about the same duration as the stock Guzzi Lemans/T cam, but with about .040" more lift. Notice that I still have torque way down low. This cam would obviously be a good choice for a hot street motor...which was my intention as I was going to do a mild build on this motor to tide me over until my big 78mmx90mm roundfin motor comes together in the next few months. Now, I'm thinking that I'll just spend some green and stuff a bigger cam in this 850 motor. It can't hurt to have a spare race ready motor laying around... soooooo.... I'm going to need more duration to get the top end that I want. I'll probably stuff a 620 x11 (Norris SS) in next. Also note that I may actually be up to 69-70 hp if I change main jets to acount for the rich running. 140's in there now, and I'll try 135's next.